I've been fortunate enough to not have had many disaster DIY projects, but this one makes up for that. I had grand plans to refinish my dining table, stain it a nice dark brown and paint the hutch. 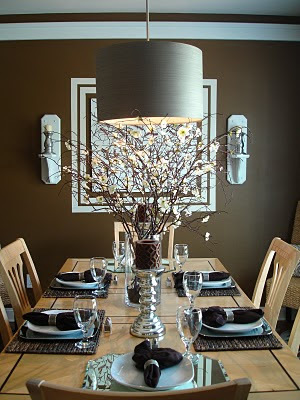 It sounded like a great plan and one that would give our dining room a whole new look without spending hardly any money. Well, things did not go quite as expected. It seems like everything that could go wrong with this table did. Here is what the table looked like before I butchered refinished it. Now, I prefer the maple finish over what it has become. I started with some citristrip. I have seen lots of other bloggers use it and have great success so I thought I would give it a try. Plus, it was eco friendly and had a nice orange scent, what could go wrong?!? I'm not sure if it was something I did or the finish on the table but it made a terrible mess. So, then I tried the real deal stripper. The stuff you need to suit up just to use. Even that didn't work. I then tried to sand it down. Nope, still no luck. So, I thought I'll just test a small area and see what the stain will look like. Well, it looked terrible, I mean really terrible. I wish I had taken a picture. So, after all that I was going to have to paint it. Well, I painted it. It still looks awful. I polyurethaned it, hoping the fnish would even out. Nope, that didn't work and I dropped the can of polyurethane and ended up with polyurethane all over my face and in my hair! It was ridiculous!! I've given up on making it better and I'm planning to sell it on Craigslist in hopes that another DIYer will be able to rescue it. 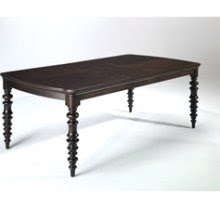 and my absolute favorite, and of course the most expensive, this one from Drexel Heritage...Anybody seen a look a like for a table like this? so, this is what I've come across so far. Any of you have any favorite sources for furniture? Things that are similar in style to these? Any help would be appreciated!!! Not too sure if the wood is dark enough. I luv this site,but you have to call to place an order. I also had problems with Citrustrip. I tried to use it on my dining chairs, it dried into a horrible mess, and I ended up washing it off with soap and water and a scrub-brush. No help on the dining tables. 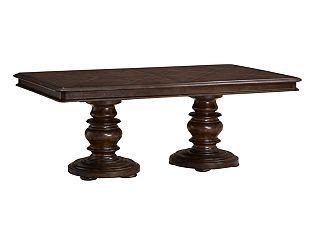 I'd like a farmhouse Montego table from Pottery Barn, but they are pretty expensive. I tried the Citrustrip - it failed. But I was able to rescue it with one of those strippers that eats through your skin... I was lucky. I've learned, through my experiences, that the eco friendly strippers are very difficult to use... you need to ensure you have the right surface for it.. unlike the bio-hazards that eat through anything. Love the one from Z Gallerie. Have you tried World Market? I bought my dining table from World Market and have been very pleased with it. Nice prices too! I hope you find a table that makes you happy for years to come! I just got mine after 13 years of marriage! 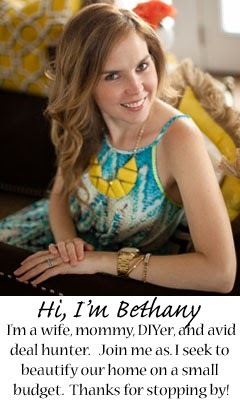 I love your blog, but your font is very hard to read. Thank you all for your help and suggestions! Ballard Family, thank you for brining that to my attention. I didn't realize it was hard to read, I just changed it so hopefully it will be better. Thanks! i like the new font too! i didn't want to say anything b4 but this is much better! 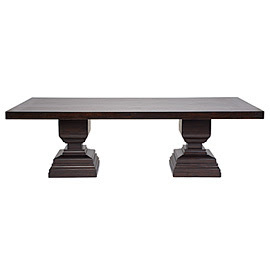 i like the tables w/ the legs/pedestals in the center, when ur entertaining, you can seat more people w/o legs in the way:) my friend got a beautiful dark stained wood table at world market too! it's great and very reasonable. good luck w/ ur search!